Metform offers the most versatile metal door frame line on the market; the VersaFrame. 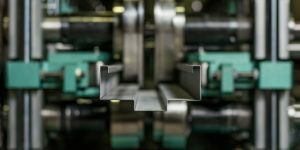 With the ability to meet the industries tight tolerances and wide range of profiles, the VersaFrame can help you produce higher volume with more consistency to your products. The key to meeting the stringent specifications is the design of the tooling itself. 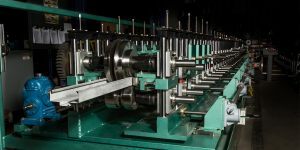 Our engineers have toiled through the development of this product to create an accurate and flexible mill that can be changed over in minutes for each profile. 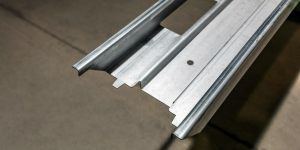 It can produce frames ranging from 16 to 22 gauge with variable rabbet width and door stop in both masonry and drywall styles. Both sheet fed and coil fed systems are available depending on the product range and changeover frequency required.